Email our onsite wedding coordinator today and find out why it’s all about you and your perfect wedding day! We will help your wedding dreams come true by planning your perfect wedding at your favourite time of year. 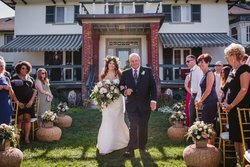 From a beautiful Ontario summer wedding, to a dazzling winter wedding with dancing in one of our banquet halls; from small and simple to large and lavish; our wedding coordinator will tailor your experience to realize your vision. Visit our weddings gallery and brochure to see how you can celebrate your special day with excellent cuisine in beautiful surroundings. Arrange for your personalized Briars tour. Email Martha McCollum or call 1-800-465-2376 to get started on your wedding dreams. Tell us about your dream wedding and we’ll help you make it happen just as you’ve always imagined. Whatever your dreams for your wedding may be, we would like to be a part of planning your special day so that you can relax and enjoy every moment. 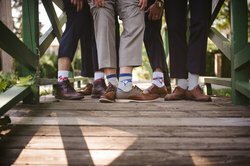 We’ll listen to your unique wedding ideas and share our decades-long experience to build on your vision for a perfect wedding day. 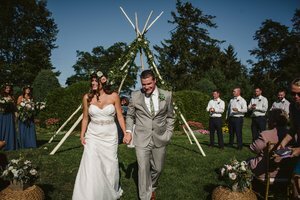 Romantic and charming weddings take place right in our lush perennial gardens overlooking sparkling Lake Simcoe. 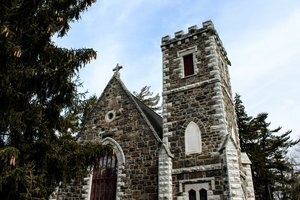 Imagine being married in a local historic stone church (St. George's Anglican Church is only 5 minutes away), and then winding your way back down the shady Hedge Road to a reception beneath a canopy of century-old trees. (Contact information for St. George’s is available upon request). 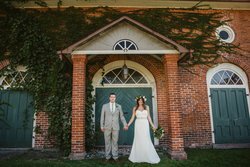 Host your intimate winter wedding in our historic Manor House amidst the romance and charm of cozy fireplaces and views of snow-clad trees.